I know, I know.. a bunch of people clicked right off this page when they read “chicken liver”. But you, my friends are the lucky ones because they’re missing out on all of the goodness that is this recipe. 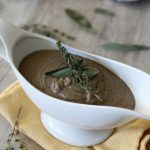 And I have to say, even if you’re not a huge fan of chicken liver I’m pretty sure you’ll love the flavors in this gravy. There’s the heartiness of the chicken livers, some extra umami and earthiness from the mushrooms and your pop of Thanksgiving with the thyme and rosemary. It’s not made the way a traditional gravy is with a flour-y roux and pan drippings, it ends up being a lot easier in my opinion. 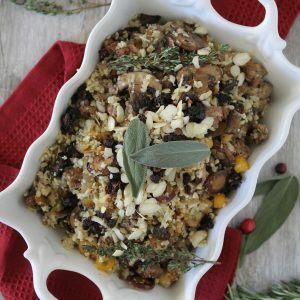 Essentially you cook up all of these delicious savory flavors, blend them in a blender or food processor and out comes this incredible savory mix of everything that Thanksgiving is supposed to be! 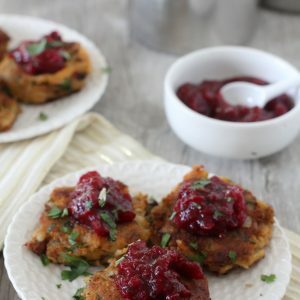 And you definitely don’t have to worry about clumps with this recipe either and as a bonus you can make it ahead and it will heat up VERY well for you. One suggestions I DO have is towards the end when you are adding the chicken broth. Initially I added 1 and a 1/4 C. of it and my husband said it was too thick, but I liked it that way. So I added an additional 1/4 C. and it was great that way too. Or! 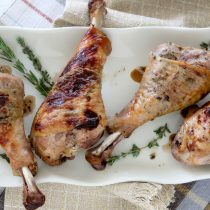 You can use your pan drippings from the turkey. It comes down to a matter of preference. If you’d like it thicker add a bit less and if you would like to thin it out add the remainder or sub out some of the chicken stock for your turkey drippings. So get your tinker on, tt’s the beauty of cooking and you won’t ruin the recipe. And my final tip? Get a good ‘do on your mushrooms. Try to keep them spaced out a bit in the pan so they can get a bit of caramelization on them. If you crowd the pan, chances are the moisture won’t evaporate as rapidly and you’ll have some soggy ‘shrooms. 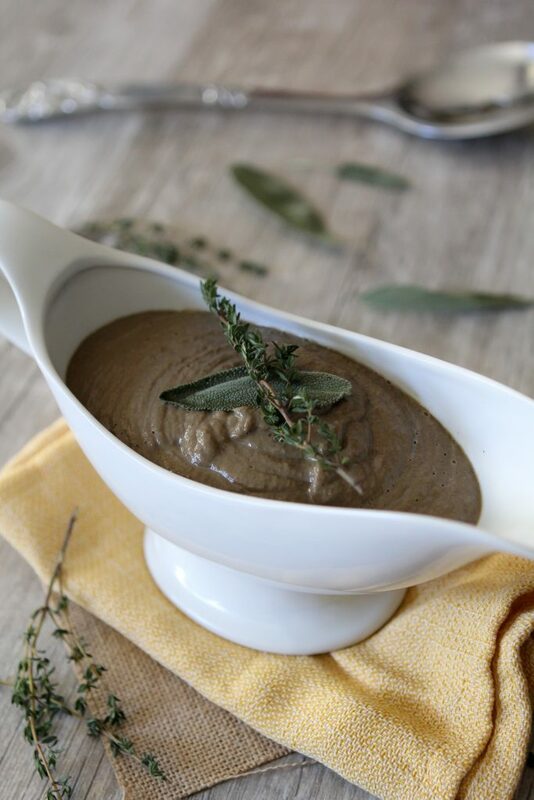 A gluten and grain free paleo gravy perfect for Thanksgiving.